Spring maybe officially here but it is winter today......BURRR!!!!. Kendall said I need to be blogging! It has taken me numerous attempts to load some pictures. Once they are loaded they cannot be moved around...oh..well I just wanted to show a couple of items we have in the store. 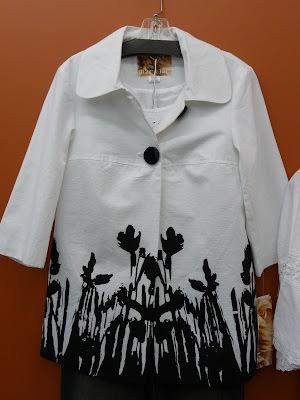 This black and white jacket is from Mac & Jac...it would be perfect for throwing over your Easter Dress or a pair of jeans. 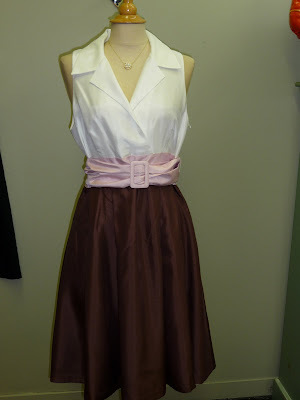 The two dresses are from Jessica Howard.....we have more due in from them. 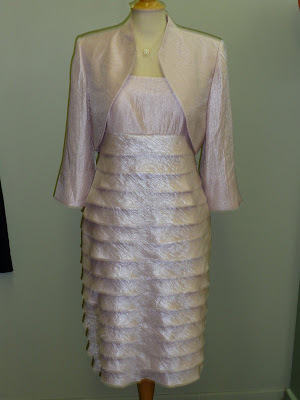 We think they are nicely priced and one other thing to remember, in our opinion, dresses tend to run a little smaller than separates! So don't fret if you have to go up a size! Don't forget we have Spanx!